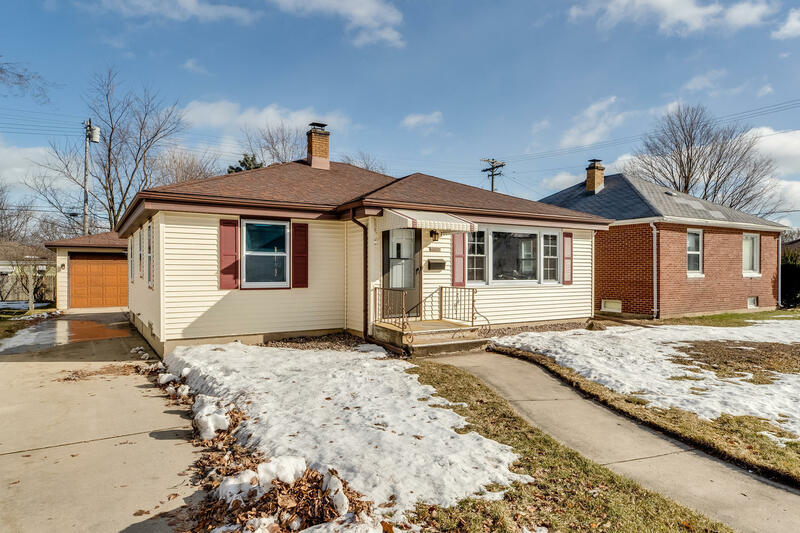 Beautifully updated ranch home in wonderful south side location! Gorgeous refinished hardwood floors, spacious living room, kitchen offering stainless appliances, partially finished basement with rec room, great storage and 2 additional finished rooms for level office space, home gym or playroom space. Oversized 24x24 garage offers 9 ft ceilings, gas line for heater and separate electric box. Rear deck and partially fenced yard!